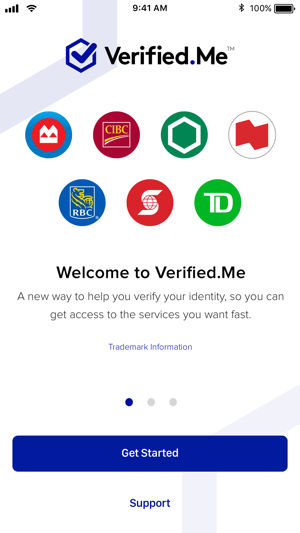 Verified.Me, by SecureKey Technologies Inc., is a new Canadian service to help you verify your identity, so you can get things done fast online. 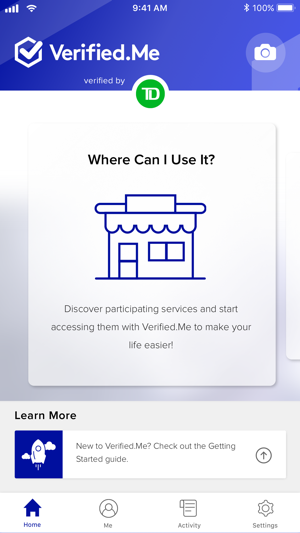 Verified.Me helps you verify your identity quickly and securely from any iOS smartphone, using personal information that you consent to share from your Connections. 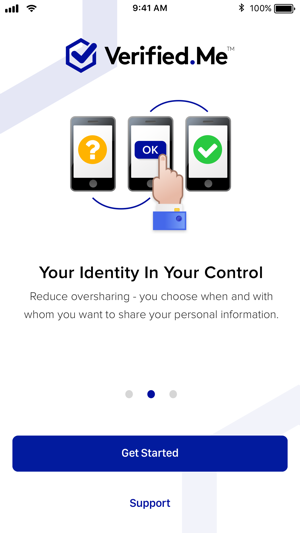 Verified.Me reduces oversharing - you choose when to share your information and with whom. You are always in control. 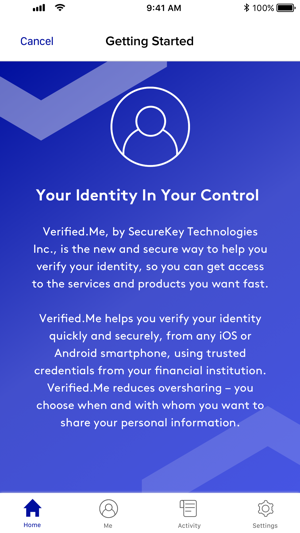 Verified.Me was developed by SecureKey Technologies and our innovation partners with strong security protocols and privacy at the core. You’re in control. 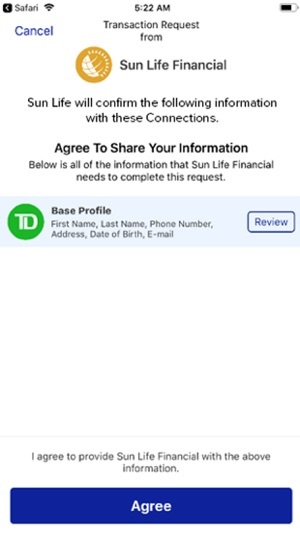 You choose which network participants to connect with and when, where and why they use your personal information. This means your information is only shared with your consent for a specific purpose. 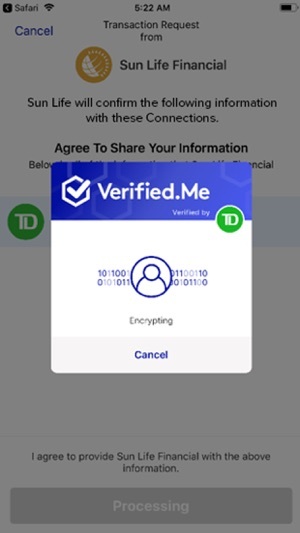 Your encrypted information is made available in real-time and shared directly from your Connections when you approve it. 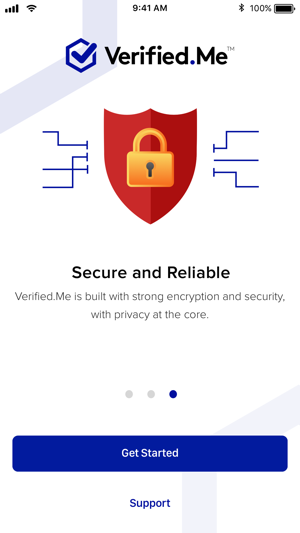 Your personal information is not stored in the Verified.Me mobile app. 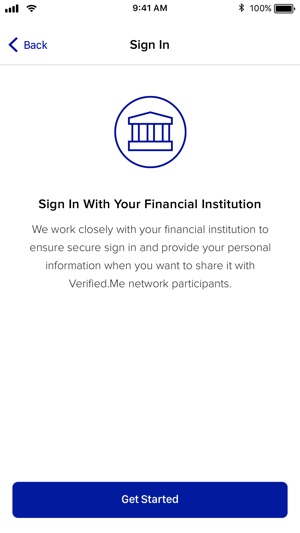 Verified.Me uses strong security protocols to prevent personal information from being identified, accessed or misused. 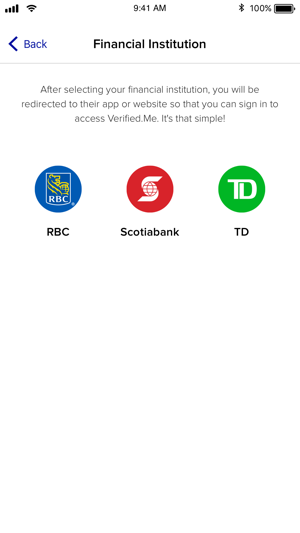 Verified.Me has no access to the online banking credentials you use when authenticating yourself with your financial institution. I’ve checked my credit score from this app which gets the score from Equifax basically and I checked my score in the Equifax website I got 40 points difference.. 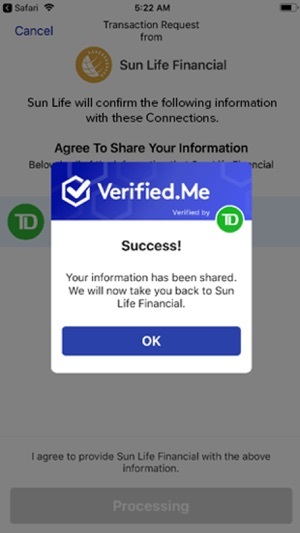 The reason for this is likely due to the fact that the free credit score that you get from Equifax through Verified.Me is updated every 30 days. One of the best experience I had this year! © 2019 SecureKey Technologies Inc.